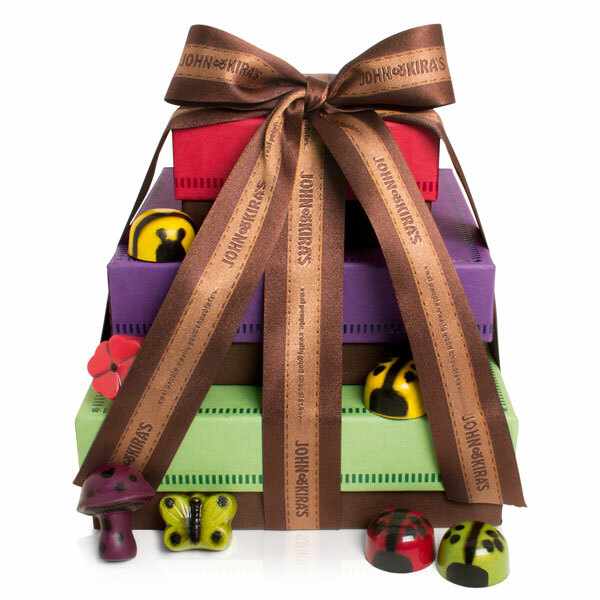 All of our most whimsical and delightful confections gather together in The Enchanted Forest Tower to bring cheer to any recipient the moment they unwrap the bow. 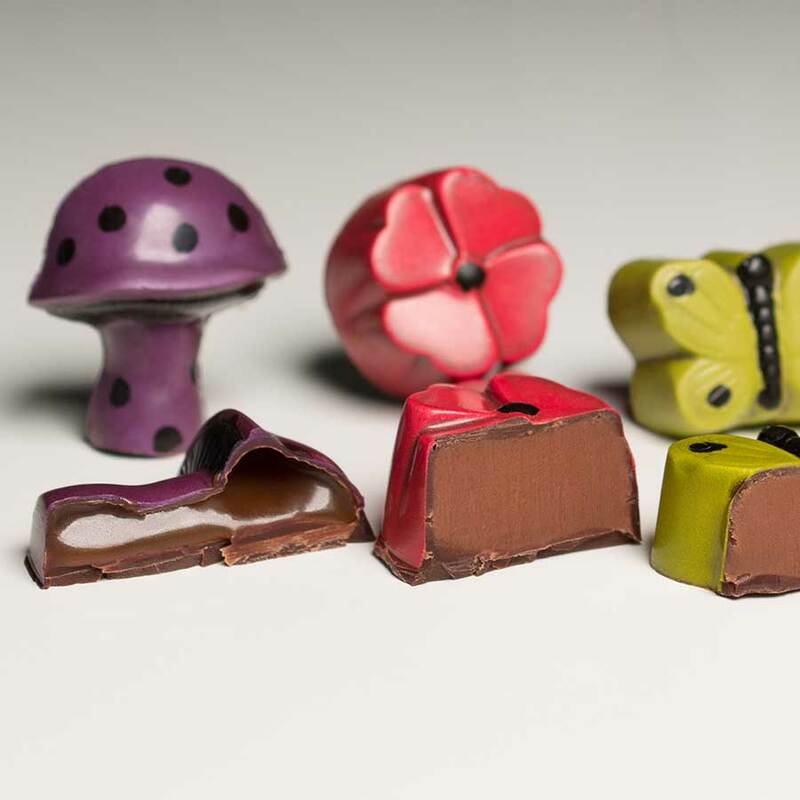 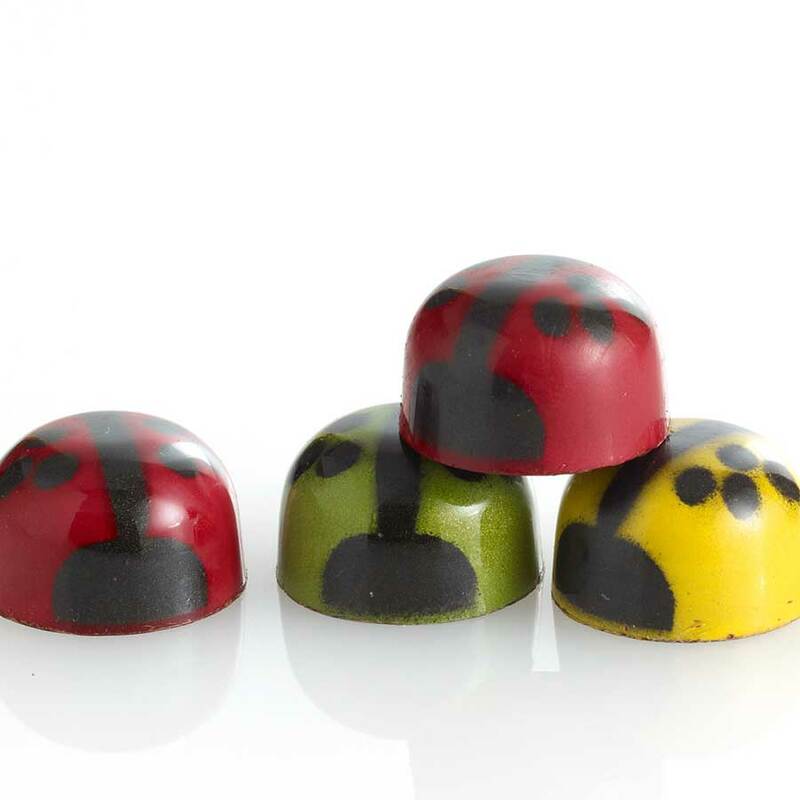 The bottom layer of the tower contains 16 pieces of our colorful Ladybug Medley with green mint, yellow honey lavender, and red raspberry fillings inside 62% dark chocolate shells. Next is 9 pieces of our charming Enchanted Forest Trio with purple caramel Magical Mushrooms, green mint Mystical Butterflies and pink white tea with rose Chocolate Wildflowers. 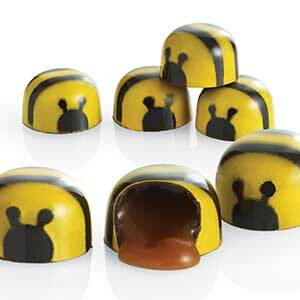 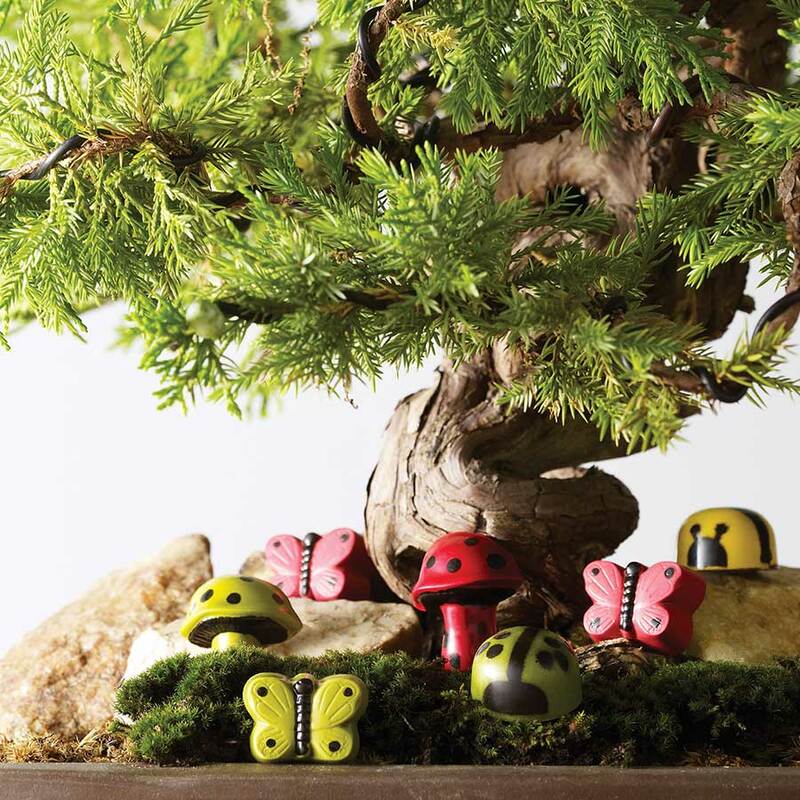 Topping the adorable collection are 4 of our salted honey caramel Bees, each hand-painted right down to their antennae. 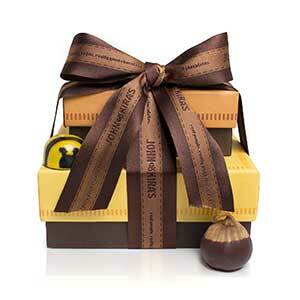 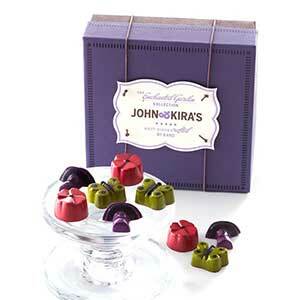 A gift equally delightful in its presentation as in its delicious taste! 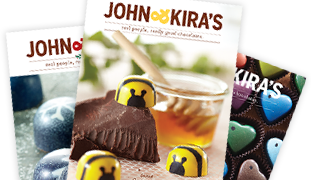 John & Kira's kitchen handles wheat, tree nuts, peanuts, & egg protein.